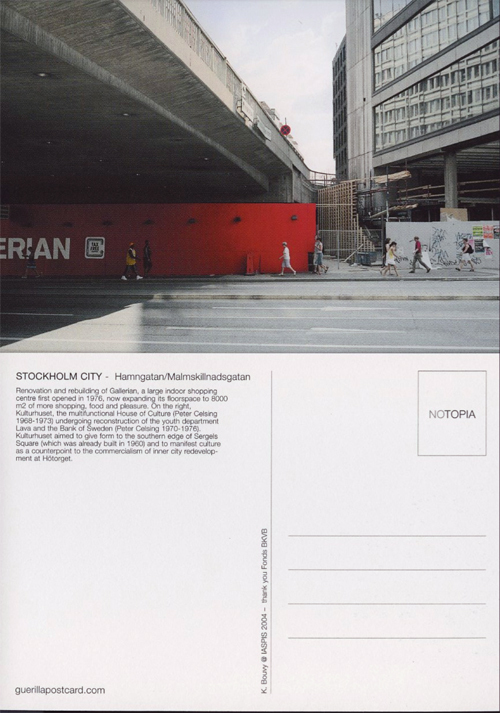 a series of 9 postcards depicting characteristic spaces of Stockholm, the capital of Sweden. How places and spaces can be defined as characteristic has more often than not got to do more with its historical and social structures than with the more formal aspects of architecture. 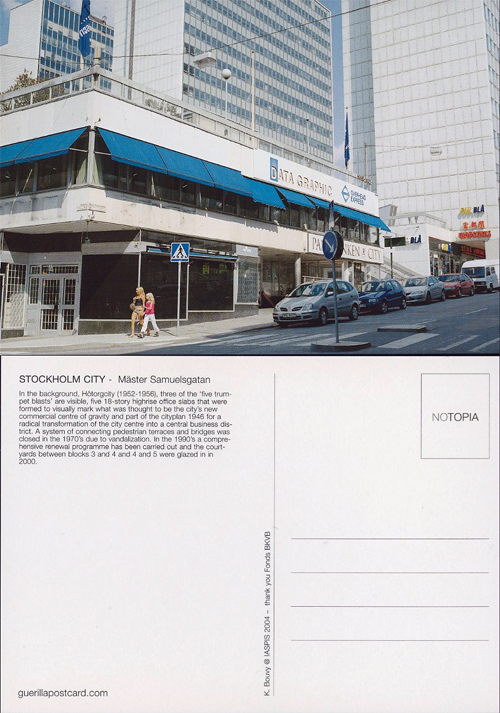 Nevertheless, cities tend to define and describe themselves to others, especially in tourism, in terms of preferably beautiful lines and forms. With this series, I show the more overlooked parts of the city, that nevertheless play an important role; since the form of architecture and cities are formed by power- and economical structures, that do not necessarily reveil themselves to a public eye in public space. 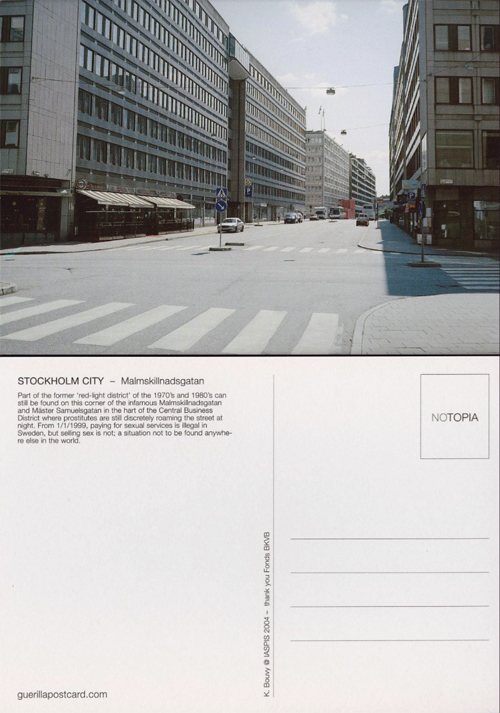 These cards intend to ‘help’ the ignorant visitor, by means of the texts on the back that provide an alternative reading of the meaning of these often modest public spaces. 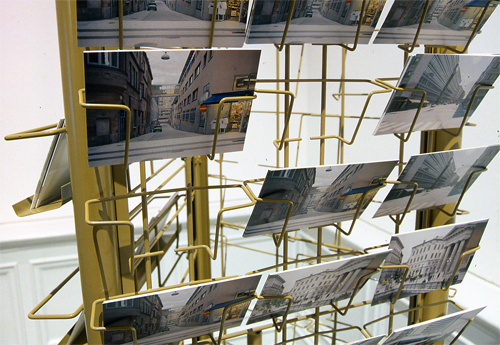 The cards were part of the exhibition ‘Al Moveable Wonders…’ at IASPIS and were spread in Stockholm in card racks and cultural institutions.